Please be advised that your kentlaw.edu email and network account will be terminated Monday, August 1st. After this date, you will not be able to recover any emails that are currently in your @kentlaw.edu inbox. If you would like to save your emails, you may download a .pst file of your inbox, following the instructions here. Please note that you must be on campus in order to download your .pst file, as you need access to the Chicago-Kent server for the download. Moreover, please be sure to have a flash drive or recordable CD on which to save your emails, as the files are generally too large to send by email. It is your responsibility to make a backup of your emails to a .pst file. If you have questions, please contact the Center for Law and Computers at pchelp@kentlaw.edu or (312) 906-5300, but note they cannot complete this process for you. 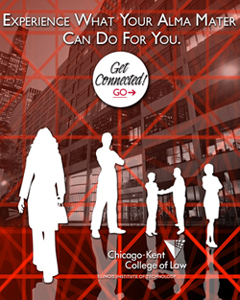 As a Chicago-Kent graduate, the Alumni Association is pleased to offer an e-mail forwarding service using an @alumni.kentlaw.edu email address. This service is available through the Alumni Online Community at www.alumni.kentlaw.edu. It allows you to pick a username@alumni.kentlaw.edu address that will be forwarded to your specified personal email account (e.g. gmail, yahoo, or work e-mail, etc). Your username can be your current kentlaw.edu username or you can create a new one. The advantage of the e-mail forwarding is that once you give your forwarding address to friends and colleagues, you’ll no longer have to notify everyone in your address book of a new or discontinued e-mail address; you can simply update the email account to which the email forwarding address sends to by logging into the Alumni Online Community. Please note that any emails sent to your current @kentlaw.edu address DO NOT automatically get sent to your alumni forwarding address. You must notify your contacts of your new address. In order to access e-mail forwarding, you must sign up for the Chicago-Kent Alumni Online Community, which, in addition to email forwarding, allows you to update your alumni information, search the alumni directory, join groups, network with fellow alumni, and keep up to date with all the news and events at Chicago-Kent. Accounts for May 2011 graduates will be available by mid-July. 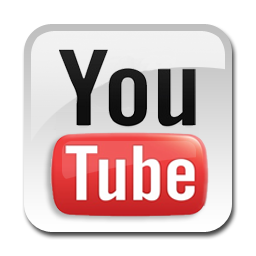 Click here to sign up now and we will send you your login information when you have access! For questions or concerns, please contact the Chicago-Kent Alumni Association at alums@kentlaw.edu or 312.906.5240.